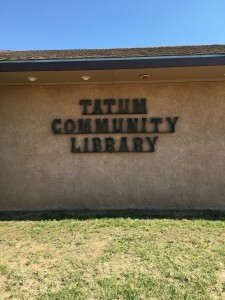 Last week while in Lea County, I was able to visit the Tatum Community Library. The first thing I noticed about the library is the beautiful curb appeal! 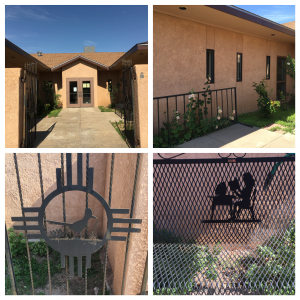 It has the most beautiful metal work outside, as does much of the town. It was provided by a local (as in right across the street!) artist, Poor Boy’s Metal Art, who even crafted a bench with a woman reading a book at a computer- very appropriate for a modern library! The building itself used to be an old restaurant but you’d never know! 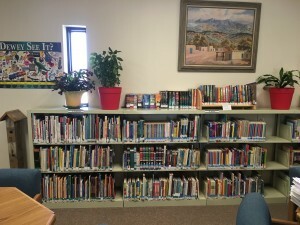 The library is bright and welcoming, with a separate space for children’s activities. 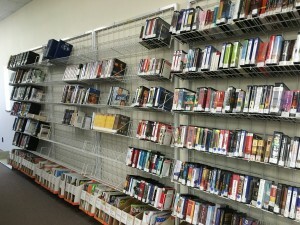 The staff is in the process of weeding the entire collection and their hard work looks great! 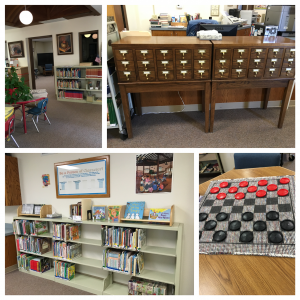 They also have lots to keep people occupied, I especially liked the giant cloth checkers board and something I’ve been seeing in quite a few libraries, community puzzles!